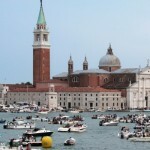 This is one of the most beautiful and spectacular festivals in Venice and one of the most loved by Venetians. 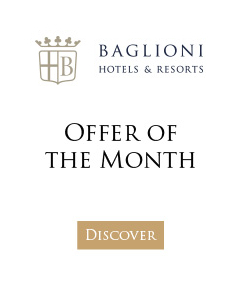 The Festival of the Redeemer dates back to 1577 and is linked to the construction of the Basilica of Palladio on the island of Giudecca which was built after a terrible plague had brought the city to its knees. It is also a religious holiday therefore, so much so that the festivities on Saturday 20 July start with a solemn function presided over by the Patriarch and a religious procession. 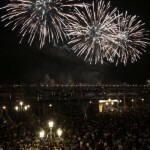 But the real show is in the evening with fireworks that illuminate the spires and rooftops of Venice. b. 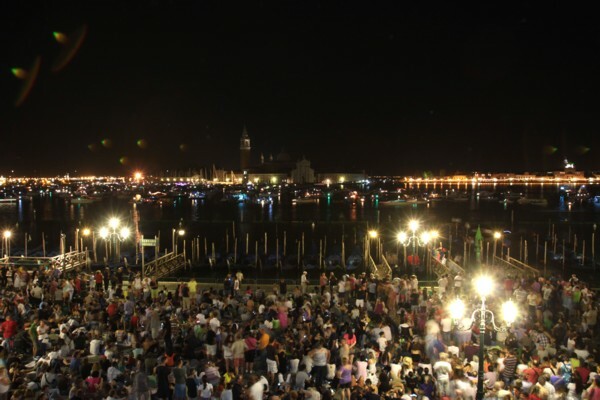 Here, on the waters of the lagoon, thousands of boats decorated for the feast wait for the start of the show (from 11.30 p.m. until well past midnight), enjoying typical Venetian cuisine. The view is so breath-taking, it seems unreal. 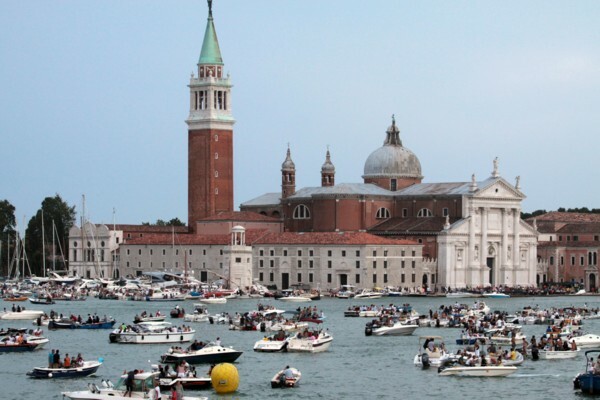 The festival ends the next day, Sunday, with the traditional gondola regatta of the Stagione Remiera di Voga alla Veneta (Venetian Rowing Club). 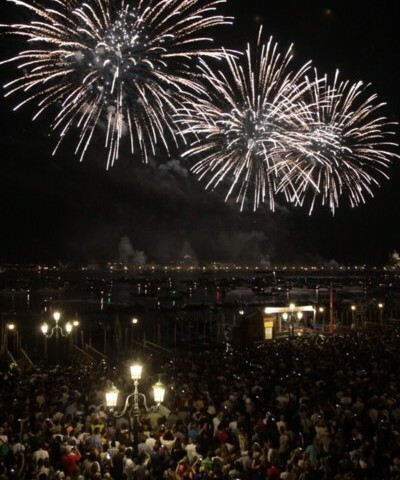 This year's programme sees the start of the festivities on Saturday 20 July at 7.00 p.m. with the opening of the votive bridge that connects the Zattere with the Church of the Redeemer on the island of Giudecca. 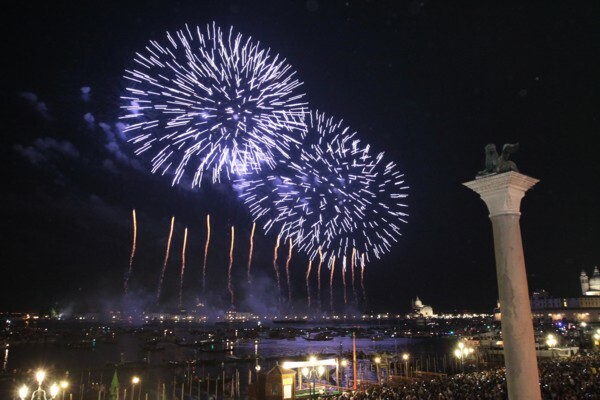 At 11.30 p.m., there are the fireworks in front of St. Mark’s. Related events worth noting include the traditional Venetian music concert at the Fondamento dei Gesuiti (Foundation of the Jesuits). On Sunday 21 July, there is the regatta of the Redeemer which starts at 4.00 p.m. with the youngest gondoliers and ends at 5.30 p.m. with the two-oared gondola regatta. 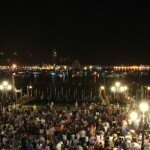 At 7.00 p.m., there is a Votive Mass at the Church of the Redeemer on the island of Giudecca. It will be a challenging but unforgettable weekend. 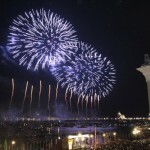 Needless to say, a boat dinner with a view of the fireworks is a far cry from St. Mark’s Square. That’s why I recommend booking dinner through an agency.